With more states across the U.S. now trying to develop more revenues in a number of ways, many have turned to increasing tolls on their major highways. While this can be good news for just about any state government, it's often a difficult situation for truckers and freight companies. To that end, many industry groups are now fighting back against higher tolls, and finding plenty of success in doing so. Late last year, Virginia Gov. Ralph Northam proposed a new plan to increase tolls on Interstate 81, which would have been particularly onerous for truck drivers, according to CDL Life. Over the course of the highway, tractor trailer drivers would have paid more than $50 in tolls, compared with $25 for passenger cars, in an effort to generate some $2 billion in funding for infrastructure. However, the plan was rejected by the Virginia Senate Finance Committee in late January, thanks in large part to the lobbying efforts of the trucking industry, the report said. At the same time, the Finance Committee also rejected a similar funding plan that would have increased the state's fuel tax. 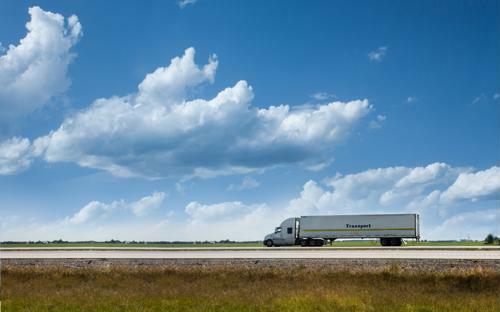 Meanwhile, the state of Indiana recently proposed a rate increase of 35 percent on the Indiana Toll Road for big trucks in particular, which led to a lawsuit filed by the Owner-Operator Independent Drivers Association against Gov. Eric Holcomb, the Indiana Finance Authority, Indiana Toll Road Concession Company, and Indiana Department of Transportation commissioner Joe McGuinness, according to the La Porte County Herald-Argus. As a consequence, it now costs truckers on the highway more than $60 in tolls, up from from less than $44.50. These toll increases went into effect in early October 2018, but the lawsuit alleges the increase was illegal because it impacted truckers disproportionately without putting the money back into the Toll Road itself, the report said. Instead, the estimated $1 billion in additional revenue would go to a broader infrastructure improvement program. "Clearly, this action is completely discriminatory to trucks," OOIDA President Todd Spencer told the newspaper. "They've made their intentions clear in that they are looking for out-of-state trucks to provide a disproportionate share of revenues to the state in what we believe is a clear violation of the Commerce Clause [of the U.S. Constitution]." Finally, there is a plan now being discussed in the Connecticut legislature to introduce 82 new toll sites around the Nutmeg State, according to Greg Kraut of the Economic Policy Project, writing for the New London Day. While it's unclear whether these sites would only tax large trucks, or would apply to all drivers, there are concerns about the roughly $500 million in construction costs that would come with building the toll gantries. These are certainly issues for truckers and freight companies to monitor on an ongoing basis, because as more states try to raise revenues by taxing tractor trailers, it could have a massive cumulative impact on interstate commerce nationwide.